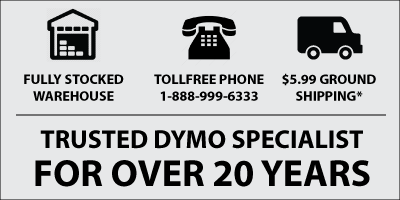 The Dymo LabelManager 280 is an electronic label maker that is big on features. It has a large display screen, numerous fast-formatting keys and a rechargeable battery that lasts, and lasts, and lasts... The LableManager 280 is primarily used as a handheld device, but you can even connect it to your PC or Mac and print labels from Dymo's free award-winning DLS software. - Remove the label cassette. - Remove the cleaning tool from inside the label compartment cover. See Figure 8. - Gently wipe the padded side of the tool across the print head. See Figure 8. Again, we recommend you clean the print head regularly. It only takes a few seconds and will ensure your LabelManager 280 stays in A1 condition.